Phyllis Roddy, my paternal grandma, a good and gentle woman we miss greatly, had much to do with my liking for celery. For amongst the sandwiches, sharp cheese, pickled vegetables, fruit cakes and sweet tarts there would always be English celery when Phyllis made Tea. Tea the meal that is, the one served at 5 30 on special days in lieu of supper. Yorkshire tea: good and simple and not to be mistaken for the posher, highly creamed afternoon tea. The icy-white, deeply ribbed stalks with soft feathery leaves would stand in a jug of very cold water – Phyllis knew this was the best way to keep them crisp and lively. In turn, the jug would stand in the middle of the starched linen cloth covering the dining table in my grandparents house in Cleveland Avenue. How can you not like celery? I might have thought, as I snapped yet another stalk between my teeth: cool and savory, the perfect foil for the soft sandwiches, rudely-pink beetroot, crumbling Cheshire cheese and dark fruit cake. Started by Phyllis and then nurtured by my mum – who never condemned celery with must or good for you and had the extraordinary knack of making a celery baton nearly as appealing as a biscuit – my liking for stringy stalks withstood the sneers and earned me favour with other mothers. I was after all, the only child eating the token vegetable batons at the Birthday tea. A tasty and smart move I might have thought as I accepted another slice of cake while the mother of the birthday child told my mother what a good eater I was. I need little convincing to either eat celery – I’m talking about the good stuff here, commonplace but juicy and flavoursome – or to’ put butter fairly thickly‘ on anything. I am also completely enamoured with Jane Grigson so before you can say celery, butter and sea salt they were on the table. Now it may sound odd to the uninitiated but I assure you celery, butter and salt is delicious. Truly delicious: the celery crisp, savory and just a little bitter contrasting with the soft fattiness of the butter and shards of granular salt. It goes without saying the celery must be good, the unsalted butter excellent and the salt best quality, unadulterated and reeking of the sea. Maldon is ideal. Don’t be shy with the butter, imagine you are plastering a deep hole in a particularly important wall. As with life, avoid embellishments. As for those outer stems! We made Jane Grigson’s celery soup from Good Things, a simple soup that tastes – as she promises – exceptionally good. Standard practice here, onion and chopped celery sautéed in plenty of butter and a dash of olive oil. You add chopped potato for body and a litre of chicken stock before leaving the soup to simmer gently for about 30 minutes. To finish you blast the soup with the immersion blender before adding a little heavy cream and freshly grated black pepper. Simple, savory and tasting as it should, most resolutely of celery. It felt like the perfect antidote the excess of the past weeks but didn’t for a second feel anything but generous and good. Stew the celery and onion gently in the butter and oil in a covered pan for 10 minutes. Add the potato and stir to coat well with butter and oil. Don’ let the vegetables brown. Add the stock. Bring the soup to the boil and then reduce to a gentle simmer for 30 minutes or until the celery is very tender. Blend or pass the soup through a mouli. If the celery is particulary stringy you might like to pass it through a seive. Taste and add salt and freshly ground black pepper as you see fit. Ladle the soup into warm bowls, spoon over a little double cream, swirl and eat. Love celery. Never tried ‘buttering’ it but Maldon sea salt is a definite must. I’ve never recovered from my grandma’s teas when we had to eat a slice of bread and butter WITH jelly and cream! Beautiful photos by the way. Hi Evie – Happy New Year! Oh my, was that Jelly as in the wobbly stuff or jelly as in clear Jam. I love your latest London eating advice by he way it is bookmarked. I haven’t tried buttering it either! I can’t wait to do so! Wonderful read, and I love celery, but have never had it with butter and salt! That sounds fabulous. I AM trying it as soon as I get my hands on a fresh and crunchy head of celery. Happy New Year! Hi Darya Happy New Year – it is pretty fabulous and the perfect balance of extremely healthy and total indulgence. My resolution this year: more butter. Well, this certainly sounds good and, after the past couple of weeks, despite the butter, a salutary exercise in restraint. I was thinking about shaking up the usual suspects for munching at the next dinner party when everyone’s hanging out in the kitchen with a glass of wine and a curious mien. I may substitute our new favorite thing–goat’s milk butter. Anyway, great post as always. Happy New Year to you! It’s always a treat when a new post arrives from you–I look forward to many more in 2013. Happy New Year to you both. I bet celery and goats milk butter would be divine. Gosh, just like the orange marmalade mix sitting in my cabinet, now I must try celery/butter/salt. I like the idea of the salt and the butter but with celery? I don’t know. I’m hesitant, a little afraid, but why not eat something new in 2013? Start out the right with celery…which btw, I rarely buy. It’s just too heavy to carry home. I know, such wimpiness. I am the queen of not buying things because they are too heavy but they are usually the non food items! After all who needs washing powder when their are heavy baked good to be taken home? And all good things to you in 2013 dear Rachel! I love radishes and butter and salt – it never occurred to me try the same with celery. You are brilliant. Glorious celery. thank you for this. looks and feels good already although I haven’t really developed a deep relationship with butter, yet. haha well, hope we get to meet up sometime early 2013. Viva! Honestly honestly? Your first words have given me an unstoppable craving for rich, dark fruit cake, to wit the leftover slice of Christmas cake with (only) marzipan icing hiding in the kitchen. HOWEVER I would also like to try your pastel-coloured soup, just as soon as the New Year fervour wears off and I can enjoy it in all its simple glory with no self-righteous resolution baggage. Yum! All sounds lovely. So glad to read your well written posts and reliable recipes. I have been wanting to make some celery soup, so thanks for this one. Never tried butter in my celery, although peanut butter in it was a childhood staple. Will give this a go. “Avoid embellishments” I like it. I will. Methinks many of us seem on the road to ‘fewer embellishments’! And, living in Australia since forever, of course one eats celery with butter and salt [well, not too much butter: would promptly braek one of my New Year Resolutions!]. Lovely photos, a happy New Year, and hope you soon get out of the ‘suffocating provincial town’! Such an under-appreciated vegetable. Glad to see it given its due! Great photos, great writing and two great recipes, which I intend to try today, and a great general suggestion. What a treat! Enjoy having someone to help with Luca and time to sprawl and buon rientro when you come back. Jane Grigson is never wrong. We had some very sweet celery yesterday. For some reason it always surprises me just how delicious it can be. I seem to have missed your post on candied peel when you first wrote it. I attempted it before Christmas after reading Debora’s post about it on Love and A Licked Spoon. However, in my usual manner I forgot that I had popped it into the simmering oven and found it a full night and day later. Will I never learn? Wishing you and Luca a very happy 2013. Celery is lovely. When I make pasta e ceci I use a hefty amount. It brings the most deeply flavorful and comforting component. I must invest in an immersion blender, though. Transferring the soup to a blender and then back to the pot is for the birds. For the birds! I will make this recipe. For so many reasons. 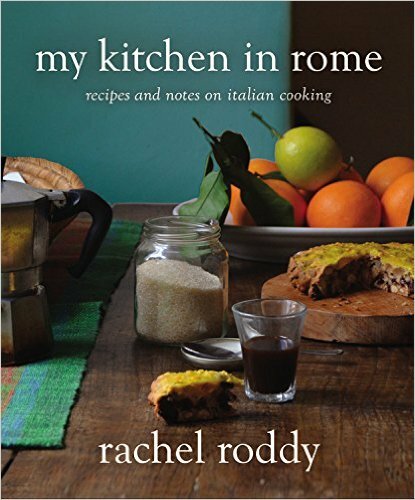 Grazie mille and felice anno nuovo, Rachel! I have to root around my shelves today and find my copy of Good Things. My grandparents lived in Bebington, Cheshire, and I spent lots of time there as a child, visiting every other year from NYC. I always look for a lovely, crumbly piece of Cheshire but can’t always find it, even in a good cheese shop. But when I do, I recreate the tea of my childhood – a soft boiled egg, cherry tomatoes, green onions, a little bowl of salt, Cheshire cheese and Danish blue, thin buttered whole wheat bread (Hovis), and, of course, a pot of freshly brewed tea served out of a pot covered with my grandmother’s tea cozy. Thanks for all the wonderful writing in 2012. Happy New Year! beautiful post. Avoid embellishments is a great mantra. Great ode to celery! I kind of have an urge now thanks to your post. I recently found a recipe for braised celery that I might give a go soon.. Thank YOU for writing such well written and thought provoking posts Rachel! Anyone .. on the subject of embellishment and contrary to Jane Grigson (pace to her and all), Norman Hartnell the coutourier is quoted as saying: “I despise simplicity. It is the negation of all that is beautiful”. On that note, I suppose one could say that celery is actually full of complexity….? it has its staulk and tendrils and leaves etc etc? How nice – my mother (also from Yorkshire, and with a father who ran three giant allotments all through her childhood) used to serve celery a lot, cold or braised, and always reserved the celery root for herself as a ‘cook’s perk’. For many years when we were living in far flung places (Foreign Office brats) either braised celery, or – at worst – tinned celery – would be one of our Christmas Day veg s a reminder of home. Now I’m the cook, I save the root for myself, when I can find wonderful, proper, cold grown celery from e.g. East Anglia/the Fens. Celeriac is delicious, but somehow that celery root, carefully cut off and finely peeled, to get maximum ‘root’ … special! Love your posts Rachel, thank you. You write beautifully. Now to persuade you to jump on the “food-blogger-turned-cookbook-author” bandwagon. Rest assured yours would be a hit amongst the many misses. I’m just getting round to doing a blog catch up after the New Year which is why I’m late to this post. As with all your recipes I’m sure your soup is lovely but OMG ICED GEMS!!! I loved Iced Gems & had forgotten all about them, as children every time my sister & I went to our Nana’s house she would have a bag waiting for us. I don’t know what was more important to us that she never forgot or that she bought us a bag each & we didn’t have to share. Happy New Year & thank you for the memory. poor celery usually gets dismissed, relegated to supporting roles in so many dishes. but here, beautiful stalks adorned with sweet butter and salt, (perfect, like fresh radishes, butter and salt) and a very, very good soup. delightful read. Rachel, I think our Grandmothers were probably rather different, but equally as loved and influential. I had just written a post that was a long time in the putting-off (because it was important to me) about my Granny today when I returned to your blog to discover this one. I often dip in to your blog in a kind of pot luck of clicking exercise. It is beautiful This post in particular is wonderful, and I love how you write about her and of course, celery. I hope you have a lovely rest-of-January. I discovered this post about two weeks ago and have since made this soup 3 times. The last two times I doubled the batch. There’s a pot of it simmering away on the stove right now, which I plan to take to my recovering-from-surgery brother in law tomorrow. It is so, so, so delicious. Thank you!! I had my doubts but also too much celery going off in the fridge…But wow, this soup is unbelievably delicious, thank you!! I made this recipe tonight and it was great. I doubled it just fine. I’m going to try to see if it will freeze well. Thanks so much! I replaced the butter with 75 grams of olive oil and the potato with another diced onion and this turned out excellent! Thank You!